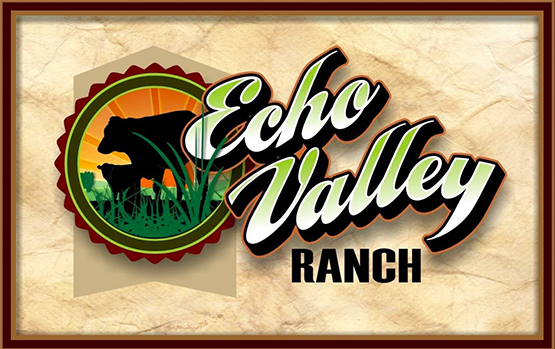 Echo Valley Ranch is a family farm that focuses on producing grass fed products in the fresh country air and lush grasses of southern Ontario. Our animals have the privilege of living outdoors with their herd mates, eating a natural diet of grass. This ensures our cattle are relaxed and healthy which produces a juicy flavorful beef. WINTER (survival) Wildlife eats the little bit of food they can find, and then uses up stored body fat for energy, burns up muscle for protein, pulls stored minerals out their bones, and vitamins out of their liver in order to survive. SPRING (renewal) The feed sources in the spring are very rich in protein. Young rich grasses for prey animals, young prey animals for predators. This allows wildlife to gain back strength (replenish their muscles), grow or give birth. They also replenish all the mineral and vitamin stores in their bodies. SUMMER (easy living) Summer is nature’s reward for making it through the winter! FALL (preparation) Wildlife prepares for another winter, by storing as much fat as possible and filling their tissues with vitamins and minerals. Nature helps by providing more mature grasses that are higher in energy and minerals. In order to produce good nutritious grass fed beef, we have to follow this pattern. That is why we only harvest from 60 days after the grass greens up in the spring (which allows the animals to replenish all the nutrients in their bodies) until the grass turns brown in the fall, and the cattle go into survival mode again. This ensures our beef has the maximum amount of healthy fats, proteins, vitamins and minerals possible. OUR BEEF IS COMPLETELY STRESS FREE AND THIS ALLOWS THOSE TENDER GRASS FINISHED CUTS TO ROAST TO AN AMAZING PERFECTION.